A headphone jack and wireless charging. The iPhone SE 2 rumors are showing no signs of slowing down. Only days after it was revealed that the iPhone X has been killed off, new images emerge from Chinese social media allegedly showcasing Apple’s rumored second-generation iPhone SE. The pictures display a smartphone with an all-glass back as well as a headphone jack. Like any good rumor, these images directly contradict the speculations asserted by the Japanese blog Macotakara. The publication spoke to multiple iPhone case makers at the 2018 Global Sources Mobile Electronics convention in Hong Kong to try and gather information about this unverified Apple product. One of their major takeaways was that it would not have a headphone jack, however, these newly surfaced images clearly show a 3.5mm audio jack. Macotakara’s also stated that the potential smartphone could have a wireless charging feature, which requires an all-glass back, exactly like what is seen in these new photos. It’s important to keep in mind that Apple has not made a statement regarding this new model and that these images could be falsified. 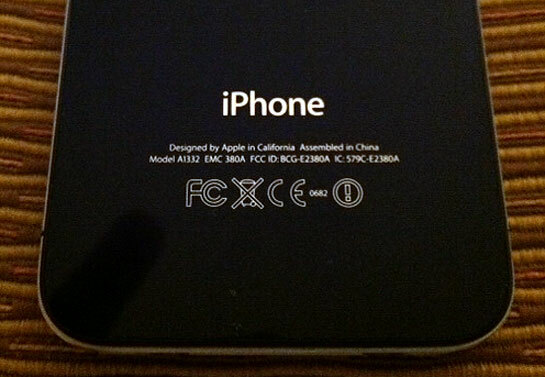 The phone displayed above only has the word “iPhone” printed on it and lacks the regulatory FCC logos. That being said, the smartphone purported by these pictures doesn’t look like anything released in the past. The previous iPhone SE has an aluminum back with two, small glass panels at the top and bottom. It’s also suspicious that the iPhone SE2 would feature a headphone jack. The port was dropped by Apple in September 2016 when the iPhone 7 was released and every other phone since has not come with it. The company has seen a huge demand for its wireless AirPods, it seems counterintuitive for Apple to backtrack on a design choice that has worked out so far. Whether or not these photos are legit is completely unverifiable. However, Macotakara did state that the iPhone SE2 could be released as early as May. If that’s accurate a preliminary version of the phone would need to be built by now, which could be what is being displayed above. If these leaks prove to be true, Apple fans could be in for a huge throwback harkening back to the iPhone 5 days.